Now I'm going to make the reproduction of Vajra Yogini thangka. In search of a big printer and the best scanner I've come to Barcelona. Arrived to the hotel room and when I saw the view from the window,,,, I've found very familiar thing. 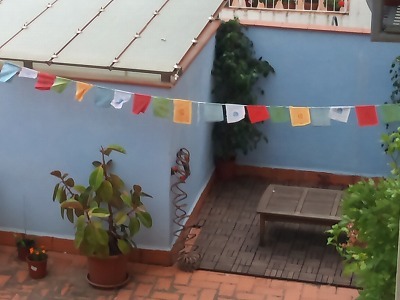 Tibetan prayer flags "Dar-cho". Good start. 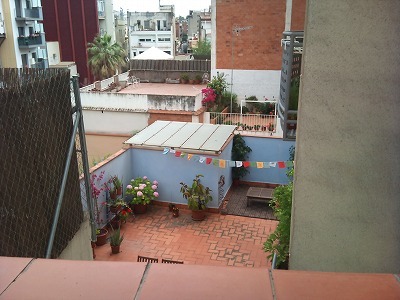 I arrived on Monday and it was a holiday in Barcelona. 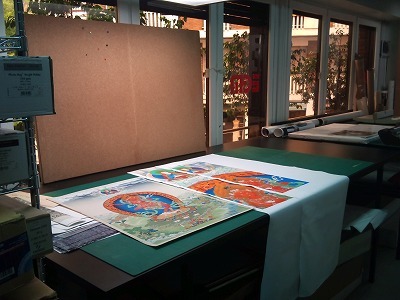 On the Tuesday morning, I headed to the photo lab with the thangka and right away started to scan. 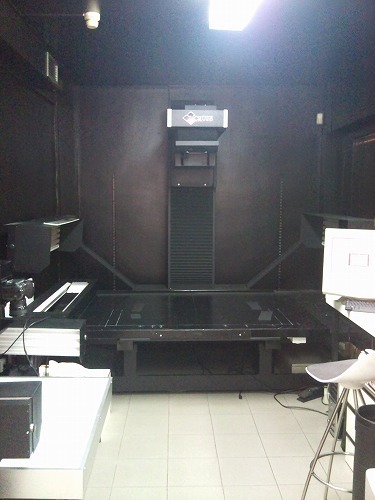 This is the scanner. 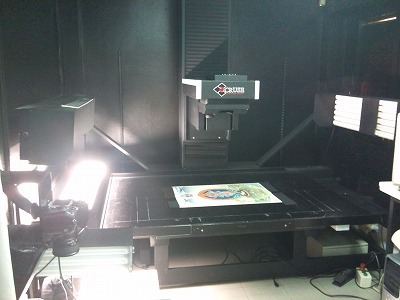 It's a huge flat scanner which even doesn't touch the painting. Impressive. For the printed color, the saturation is too high and flashy. Continue to make proofs to check and change the color. Printing as big as the reproduction I want to make.